Meet one of the most trusted bariatric surgeons in Dallas/Fort Worth. A specialist in minimally invasive procedures and the Founder and Medical Director of Gonzalez Bariatrics, Dr. Gonzalez is an expert in getting his patients back to healthy, active lives. Dr. Gonzalez is providing his patients with unparalleled care and treatment for the entire weight loss journey. Dr. Gonzalez has extensive specialized training Advanced Laparoscopic (Minimally Invasive Surgery) and Bariatric (Obesity or Weight-loss) Surgery. 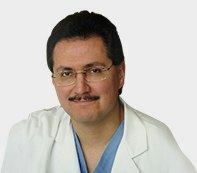 Doctor Victor Gonzalez received his Medical Degree from the University Of Iowa College Of Medicine in Iowa City, Iowa. His post-graduate training included a surgical internship and residency at Texas Tech University Health Science Center in El Paso, Texas, a five year General Surgery Residency program. After building a very successful General Surgery practice, he once again developed a yearning to learn more and decided to undergo further training by completing a one year Fellowship in Advanced Laparoscopic (Minimally Invasive Surgery) and Bariatric (Obesity or Weight-loss) Surgery. The fellowship was at the fully accredited California Institute of Minimally Invasive Surgery in Fresno, California. Dr. Gonzalez is one of a select few who has received training in the highly competitive and highly sought after Fellowship in Advanced Laparoscopic (Minimally Invasive Surgery) and Bariatric (Obesity or Weight-loss) Surgery. Upon completing the fellowship he and his family decided to move back to Texas to be closer to family, and that warm Texas hospitality. His practice consists of Bariatric Surgery and General Surgery. He performs the full spectrum of traditional General Surgery procedures most of which can now be performed using the minimally invasive technique, i.e. gallbladder surgery, hernia repair and reflux treatment surgery to name a few. His Bariatric practice continues to offer patients the comprehensive program approach that was started in 1979 by the Center for Obesity Surgery Dallas. All of these procedures can now be performed laparoscopically. 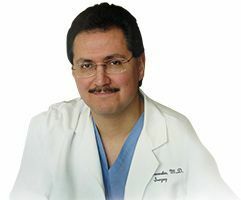 Dr. Gonzalez remains in the forefront of Bariatric specialties including the EsophyX and StomaphyX incisionless revisional surgeries that offers quicker recovery for his weight loss patients.